like lightening. And in the next breath says she isn't sure? That Marion & his sister waylaid her at every opportunity and the continuation of these attacks with the proximity created, caused Marion to ask her to marry him. 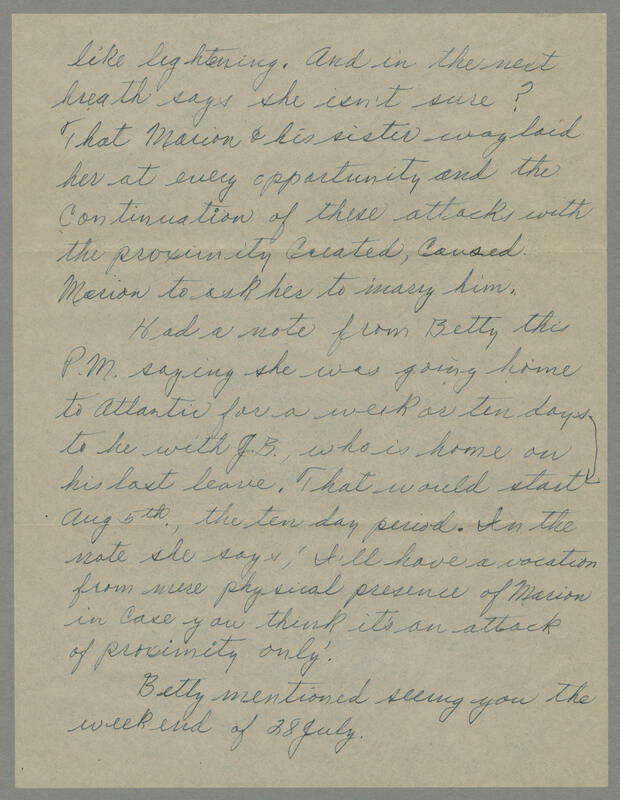 Had a note from Betty this P.M. saying she was going home to Atlantic for a week or ten days to be with J.B. That would start Aug 5th., the ten day period. In the note she says, 'I'll have a vacation from mere physical presence of Marion in case you think it's an attack of proximity only'.